Your name, date of birth, Brazilian Tax ID Number (if applicable), e-mail address, mailing address, telephone, credit card info and/or bank account info that you provide us with when you use our services. Company’s name, address, Brazilian Tax ID Number (if applicable), email address, telephone number, personal information from the company’s representative such as: name, Brazilian Tax ID Number, credit card info and/or bank account info that you provide us with when you use our services. We may collect additional data from you through online and offline data providers, which may include demographic data or internet browsing profile. Additionally, for your security and to enhance our services, we may collect data from any interaction you may have with our customer services. Moreover, we may record and monitor any phone call, chats, emails that you or anyone acting on your behalf may have with our agents. By communicating with EBANX, you hereby agree that your communications may be monitored and recorded without previous notice. We may also collect your data by other means, for example, your answers to surveys, and interactions with other companies (subject to these companies’ privacy policies and applicable legislation). If you do not provide us with personal data we may not be able to provide our services. You hereby take full responsibility for third party’s personal data that you may publish and share through our services and declare that you have the third party’s consent to share their information with EBANX. Inform Brazilian Internal Revenue Services of Financial Operations Tax (IOF) collected on Brazilian Territory when a purchase is made under your Tax ID Number (if applicable). Cookies are data files that we put on your computer or device through your browser or associated apps. Such files help us to identify you as our user and your preferences. This way, we are more efficient and may provide you a more secure and customized experience, and marketing actions targeting your profile. You may refuse our cookies, if your browser or add-on allows you to, however, such refusal may interfere in the service we provide and our system will not work properly. We will only use your data for Marketing Actions done solely by EBANX, we will not sell or rent your information to third parties to use it for marketing actions without your previous consent. As stated above, we may use your information for marketing actions sent by email. If you no longer wish to receive our marketing emails you may select “unsubscribe” in the email itself or by visiting our email preferences. Additionally, if you use our app on your device, we may send you push notifications regarding transactions made using our services. You may also disable such notifications on your device settings. All data we have access to is collected and stored permanently in a safe data base with a high security standard service provider in accordance with market rules. The data collected is used to process payments on behalf of the user, analyze user’s and transactions’ risks, and also to inform any authority. We may also use your information to have more information about the our users and create your profile. We process your data taking security measures to prevent unauthorized access, publication, changes or destruction of such data. The data and payment processing are done using enabled IT tools and technologies, following PCI-DSS standard for organizational procedures, storage, transmission and checking procedures. Your data may be accessed by EBANX personnel responsible for the website, app and service operation (development, operations, support, risk, fraud, support, financing and marketing department). 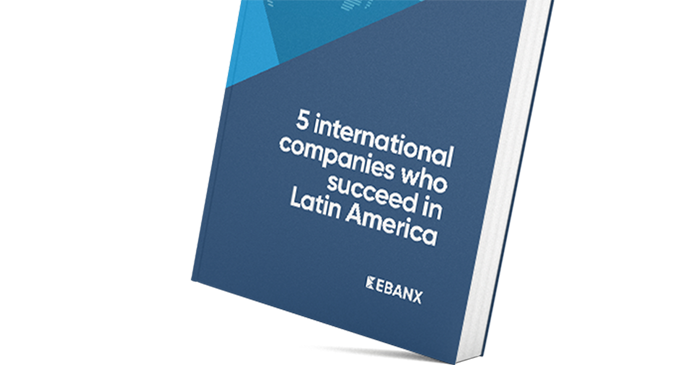 It may also be accessed by the personnel of other companies that belong to EBANX Group, and all those companies follow high security standards for the data collected. We may share your data with third party service providers, such as payment’s processors, fraud prevention tool’s providers, bureaus of tax ID Numbers, mass emails sender’s platform, all of which acting in compliance with market security standards. Your data is processed at EBANX’s operations headquarters and in any other place that the parties involved with processing may be located. For more information please contact us at support@ebanx.com. Your data will be kept for the period necessary for the service requested to be provided, or for the other purposes described in this document. The user may request that its data be suspended from our data base, however in this case, it may not be possible for EBANX to keep providing its services for you. Your personal data may be revealed to responsible authorities if you use our services for illegal purposes. Our services may not be used for illegal or illegitimate purposes. You hereby declare that you are aware that we may be ordered to reveal your personal data to responsible authorities and that, in these cases, we may reveal your data without your prior consent. For operations and maintenance purposes, our website or app may collect files and record interactions with EBANX (system logs) or use, for these purposes, other Personal data (such as your IP address). Users have the right to, at any time, consult us to know if their personal data has been stored, its content and source. Users may verify the data accuracy or request it to be amended, cancelled, updated, transferred to an anonymous format or to block any data stored in violation of any law. The user may also oppose to its data collection for any legitimate reason. Any user rights’ request shall be sent to support@ebanx.com. Users have the right to request, at any time, the deactivation of its user’s account by proving its identity. However, we hereby declare that your data shall be kept in our database for maintenance and fulfillment of legal obligations, court rulings or administrative procedures. EBANX platform does not allow “do not track me” requests. Sentence added: "Your credentials info (login and password) are your responsibility, therefore, EBANX may not be held responsible for any security issues that may arise from virus, malware and spyware. If you have any questions about privacy and data usage, please email us at support@ebanx.com.